To Love a Rose: Irish, American, AND Ethiopian??? I hope all of you had a wonderful holiday season in 2009! More than that, though, I've been thinking about this next year/decade and all of the wonderful blessings and gifts I hope and believe are on the way for my family and all families. One exciting thing that is finally happening for my family is that my sisters and I will be joining my mother in getting our Irish dual-citizenship. 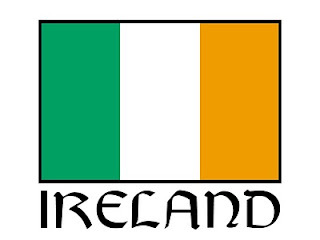 My mother and her biological brother have Irish citizenship, because their mother never gave up her Irish citizenship when she came to America in her early 20's. We're all super excited to be able to be able to celebrate our cultural heritage by getting our dual-citizenship! It will also make our family journey to Ireland (which we are going to take as soon as our new Irish passports come in) that much more meaningful and fun! Something I've been wrestling with lately is the fact that my children will be able to be registered with the Irish Foreign Birth Registrar - making them dual-citizens with Ireland and America. But what do I do for my future adopted children? I can only imagine what it will be like for an Ethiopian child living in an all-white family in America; but how do I make three cultures have their place in our family life? Would my child be an Ethiopian Irish-American then? Or if I don't register them with the birth registrar because they're African and I do register our biological children, what would that be saying? That some of us are part of a "club", but others aren't? Or maybe none of this will matter to our children, biological or adopted? Perhaps I'm making the bigger deal out of it all, and it will merely be second nature to them - not a problem or source of contention in any way? I have not worked through this entirely in my head yet; so, I don't know what the answer(s) will be (if there are any). All I know is that this new year and decade are surely going to be full of surprises; and I am so excited to see what God has in store for my family and friends!